Debra Tidball is a social worker, parent, author and animal lover. 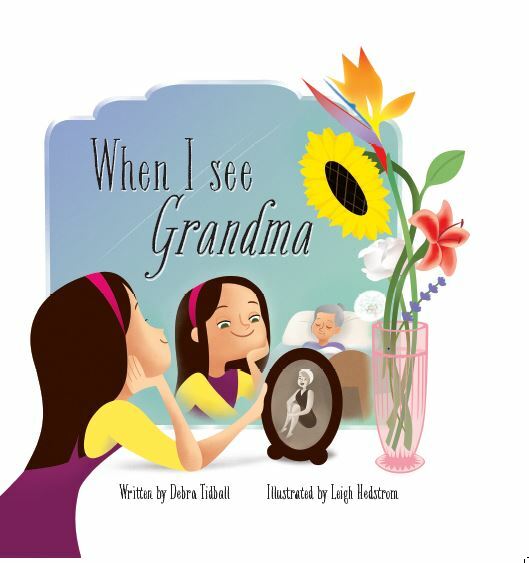 Her first picture book, When I See Grandma, is drawn from her experience of having a parent with dementia. When I See Grandma won the children’s book category of the CALEB award 2014, was shortlisted for the Speech Pathology Australia Book of the Year 2014, received a seal of approval from Children’s Literary Classics, is on the NSW Premier’s Reading Challenge, and has attracted phenomenal reviews. 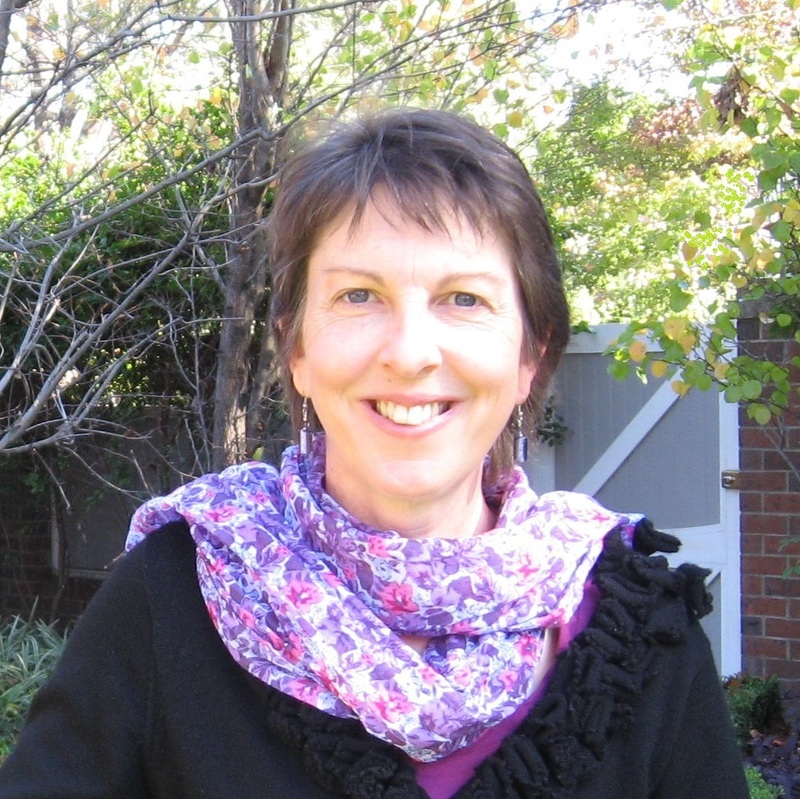 Debra’s other works – flash fiction and non-fiction – have been shortlisted, commended, and published in various publications including Scope magazine (Fellowship of Australian Writers QLD) and Positive Words magazine. Debra lives in suburban Sydney and satisfies her rural cravings by keeping chooks in the backyard and mucking around with her donkey who is paddocked on the city’s fringes. Two things converged for me when I had young children – I rediscovered a love of picture books and my mother had dementia. This somehow ignited the writing of When I See Grandma. I eventually sent it away for a manuscript assessment to Virginia Lowe at Create a Kids’ Book. She was very supportive through the process and very encouraging of the final product. I sent it away to a few publishers with no success and then shelved it. This experience led me to follow my love interest in picture books to a whole new level after my mother died and the kids got older. I enrolled in a Master’s degree in Children’s Literature from Macquarie Uni (my first degree many years before was in Social Work). I completed it over four years part time and was most inspired by the Creative Writing subjects I took. I was hooked and I’ve never looked back. Encouraged and informed now by a small writing community, I took out my dusty Grandma manuscript, dusted it off and sent it out to Wombat Books, and two tears later – Eureka! It was published. Since the publication of When I See Grandma, my working time has been divided between creating new pieces of writing and promoting Grandma. I had no idea how time-consuming the latter would be – my husband is still bemused! In terms of manuscripts, I have several on the go all at once. I have three out doing the “publisher roulette” as I call it – going out, coming in, going out again, waiting to be “picked”. I have two in current competitions, several I’m critiquing with the help of others, and a couple languishing in my filing box. Mostly picture books, and one longer early reader of 3,000 words which is a twist on The Three Little Pigs where the wolf is good and the pigs are bad. I have a study with a desktop PC. I don’t love working here (I get knots in my neck – I need a new chair!) I prefer the couch with paper and pencil, or iPad. Wherever I am I’m intermittently gassed by the family’s French Bulldog. 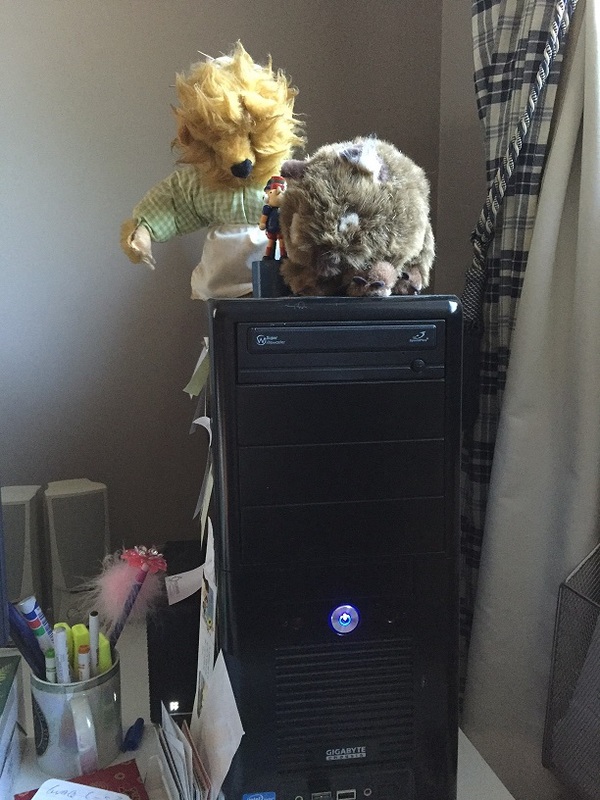 When I’m in the study I’m constantly removing the cat from the keyboard and I’m presided over by two mascots sitting atop my PC – Mrs Tiggy Winkle (who I made in high school) and Wombat (given to me by my publisher at Wombat Books to welcome me to the Wombat family). There is no typical day and I am not a literary powerhouse! I work around other commitments (mostly family things) and in fits and starts – hence the knotty neck from a “fits” day. I have made a commitment recently to not look at social media until after 12 MD and this has revolutionized my productivity! I’m certainly not an early morning person, and I’ll often be at my computer after dinner and until 11 at night if no one is home (or up) to distract me. I am very fortunate in that over the last few years my family has not needed my income to survive but they have needed my presence to function. 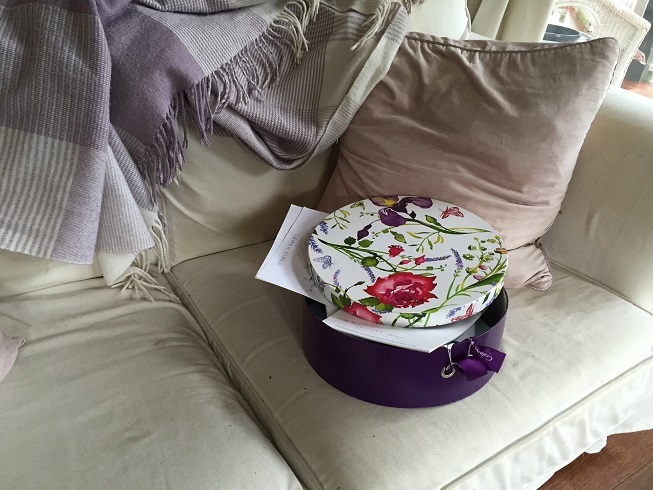 I scribble ideas down on paper when they come to me – or as soon as possible afterwards. I have a box full of them. I also tend to get ideas in bed before I fall asleep, though most of those have evaporated by morning. When I have a block of time I get out my pencil and blank paper, sit on my lounge and mull over an idea that inspires me most. I love thinking with a pencil in my hand. I also find the idea follows me around during the day and I have great inspiration in the car. When the story seems to be coming along, I transfer it to the computer and sit at the desk to edit and finalise it. I edit from a typed hard copy – scribbling notes over the page, listing possible alternate words etc. Then I go in search of feedback – often to find that the end of my story is really the beginning and it’s back to re-writing! More recently, with longer pieces I’m working on, I have been working in snatches of time on the computer. But I still don’t think this works for my smaller, condensed works – flash fiction and picture books; they need time to brew. I write because a snippet of something touches me on an emotional and/or imaginative level in some way and I want to explore it, stretch it, and see where it goes. I write because I love the feeling of bringing form from the formless fragments in my head – it is a hard slog sometimes, but it is the next best thing to giving birth! I write picture books because I simply love picture books on so many levels. “The whole is greater than the sum of its parts.” Plus …they are delivered with a cozy snuggle in bed and kiss goodnight – and what could be better than that? I get my ideas from everywhere – from life, really – something I see or something I’ve heard that’s intriguing on some level. I think if you pay attention to the small things you can find amazingly big truths. Of course kids and animals are always a great source of inspiration, as are other authors. Time in the chair – knots in the neck leading to procrastination. How incredibly supportive and encouraging other writers are. That a critique/workshop group for your work is not to be feared but relished. I wouldn’t have been so fearful and languished writing “in the closet” for so long if I had known these things. To speak into the lives of children in a myriad of ways – from the deep issues in life to the humourous – and help provide them with a framework within which to view themselves, their circumstances and the wider world, and provide families with a shared language. To support the Australian writing community (especially in children’s literature) by reviewing and spruiking great Aussie talent – which we have in bucketloads. The quintessential children’s author – Beatrix Potter. I was obsessed with her books even as a teenager – I got the complete boxed set for a birthday present in High School. 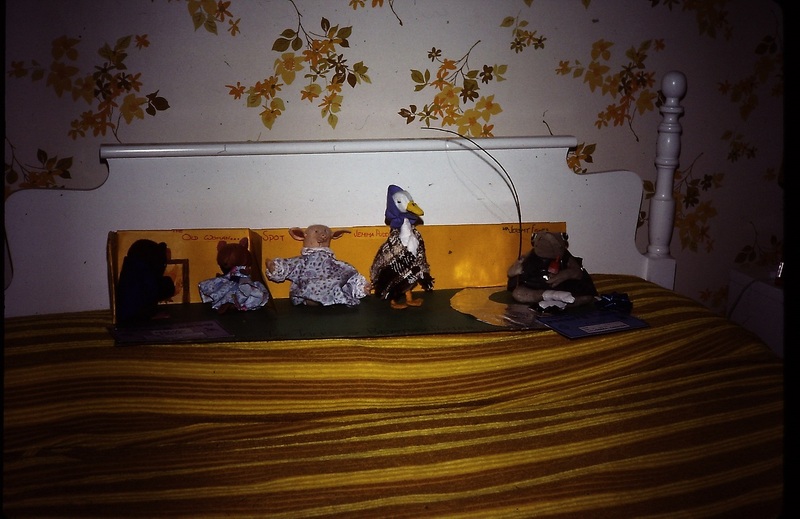 I made a set of stuffed Beatrix Potter toys (and entered them into the Penrith Show – they won first prize!!) Even then I used to roll the words from her nursery rhyme books around on my tongue and quote bits to friends – what must they have thought?? Other recent children’s authors? There are too many to name – I couldn’t single anyone out – apart for the iconic Margaret Wild whose work I have loved since reading Pocket Dogs to my kids when they were little. In adult fiction, I have recently loved the works of Nelika McDonald (The Vale Girl), Liane Moriarty (The Husband’s Secret and Big Little Lies) and Brooke Davis (Lost and Found). NB: This is interview 3 of 4 in a special feature celebrating Picture Book Month. Susan Whelan and Sandy Fussell chatted with us earlier this week; stay tuned for our final interview with Jackie French!